Born and raised in Palo Alto, California, I moved north to attend the University of Washington in Seattle. Like many first year students at the UW I thought that I would study engineering. After a year in the Civil Engineering Program I realized that I was more interested in the science that drove engineering decisions than becoming an engineer myself. The intensive study of math, physics and chemistry brought me to the Earth and Spaces Sciences department where I was excited to learn about the inner workings of our planet. While in the department I worked as a research assistant in the seismology research lab analyzing seismic data from the Mt. St. Helens area. 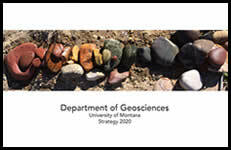 Late in my undergraduate career I discovered my interest in geomorphology and engineering geology. After graduation I worked a summer as a Geotechnical field as a field technician in Bellevue, WA testing and inspecting soil on residential development sites. After that I transitioned into a role at a Google in Bothell, WA working on quality control of data gathered as part of the self-driving car project. In 2017, I joined Andrew Wilcox's research group and accepted a fellowship in the BRIDGES program. My research is focused on quantifying how hydroelectric dams are impacting large tropical rivers on a variety of scales. When I am not working or studying I like to spend as much time as I can outdoors. When its not snowing, I am usually hiking or camping otherwise I am probably skiing or exploring different cities around the Northwest.